Delauder’s Smoky Mountain BBQ in Gatlinburg is hard to find but worth it – a hidden gem serving barbecue that was named among the Top 25 in the nation. If you crave an authentic taste of Tennessee barbecue, you have to give this place a try. Eastern Tennessee barbecue is an American treasure, known throughout the nation for its distinctive flavor and tender texture. Local cooks specialize in pulled pork, but have applied their talents to everything from ribs to chicken, to brisket, and even to vegetables. If you’re looking for a truly American culinary experience, you can find one of the best right here in Gatlinburg, Tennessee, in the Great Smoky Mountains. 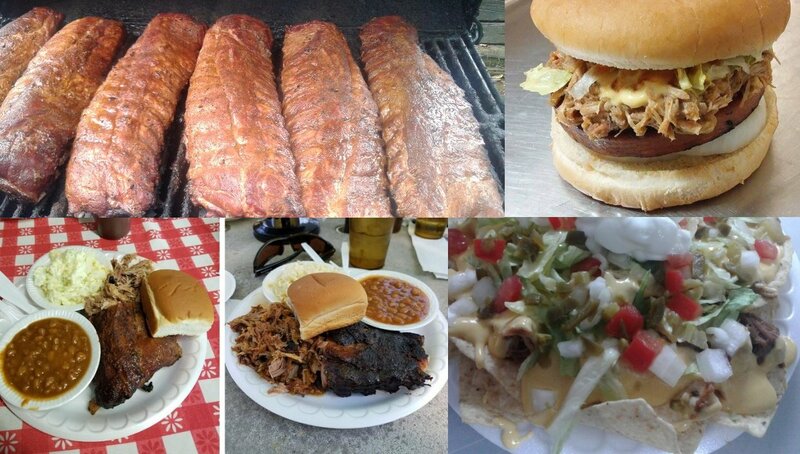 Delauder’s Smoky Mountain BBQ puts Tennessee’s proud culinary tradition on display for all to enjoy. Located off the beaten path in Gatlinburg, Delauder’s has consistently impressed visitors from all over the United States. The restaurant in June of 2018 received recognition for its delicious flavors and distinctive regional style in Travel & Leisure Magazine’s list of America’s Top 25 Best Places for Barbecue. The year before it was awarded in Yelp’s list of the Top 100 Best Places to Eat in America. The first thing you’ll notice about Delauder’s is the sheer variety of barbecue styles they serve. From pulled pork to rack ribs to brisket to chicken chunks, the restaurant offers every variety of meat, putting its unique, smoky spin on each. Delauder’s also serves veggie and fruit trays, salads, and both traditional and jalapeño-based sauces. Combined with baked beans, fried green beans, barbecue nachos, cobblers, and a host of other sides and desserts, you can have your pick of unique local foods. As the restaurant’s founder and owner, Denny Delauder has one main goal: to “feed people like you are family.” To that end, he makes all his barbecue fresh each morning, so you can experience it at its best. This is why the restaurant only opens in the afternoon, and closes each day as soon as the barbecue has sold out. Denny and his team need the mornings to slowly roast this delicious meat, and refuse to serve any that wasn’t cooked that day. He wouldn’t serve leftover meat to his family; why should you be treated any different? Delauder’s has consistently earned glowing reviews not only from locals, but also from visitors hailing from all over the country. Customers praise its meats on every front, describing its “melt in your mouth” texture and calling its flavor “like eating a juicy campfire.” The sides are also a big hit, with past patrons being particularly fond of Delauder’s fried green beans and its unique take on nachos. This isn’t just coming from people who never had barbecue before, or who’ve only had the specific style of Eastern Tennessee. Past customers include people from North Carolina, Texas, Kentucky, and Missouri— states with their own renowned barbecue styles. Yet all these customers say that Delauder’s served them some of the best barbecue they’ve ever had. Delauder’s is hard to find, hidden behind shops, but it’s along the Great Smoky Arts & Crafts Community Trail, so you could make it a stop for refueling in a day’s worth of shopping. You’ll find it at 680 Glades Road, right behind Smiths Scrimshaw, Knives, & Silversmithing. Glades Road is off of East Parkway (aka Hwy 321). Delauder’s is small, and its hours of operation vary by day, but generally last from lunchtime until around 7 pm. Make sure to get there early or call ahead, because if they run out of meat they’ve cooked that day, they won’t serve anything that’s old! Hours: Wed-Sun (closed Mon-Tues), from lunch until close (times vary, check ahead). TIP: Check our other resources for more things to do in Gatlinburg.